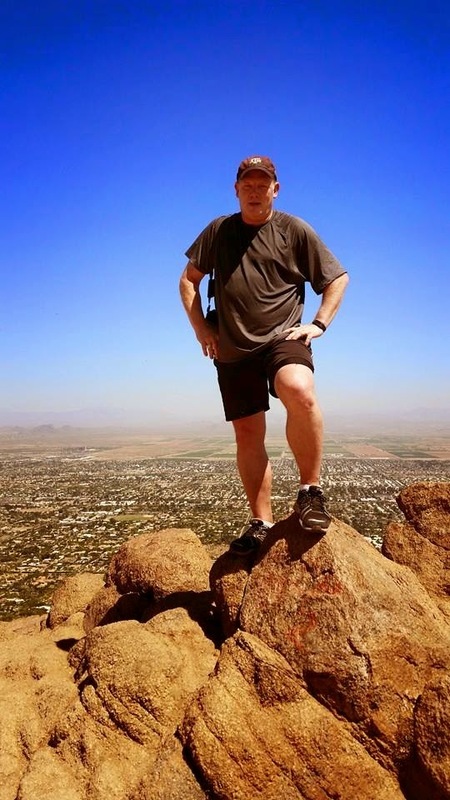 Recently, I had the opportunity to climb Camelback Mountain in Phoenix. I couldn't help but notice the parallels between making the climb and building a business. At the foot of Camelback, it doesn't look too difficult. The trail only ascends 1280 feet. It starts with a well-maintained, graded path that is steep, but not too strenuous. Nevertheless, I felt it. I was slightly out-of-breath and sweating by the second switchback. Pretending to enjoy the view, I stopped to catch my breath. No worries, I thought. I can handle it. I couldn't imagine stopping only a short way into the climb and imagined few did. The trail did change after that. The climb became less walking along a trail and more, scrambling over boulders, and steep climbs. At a couple of the steepest points, handrails were present. I wasn't ashamed to use them. I wasn't always sure where the trail went. I watched other hikers, paying special attention to the climbers who looked like they climbed the mountain regularly. When viewed from a distance, Camelback looks barren. While climbing it, I noticed lots of flowering vegetation and wildlife, ranging from lizards to birds to chipmunks. And of course, bees. More on the bees later. As I climbed, I found I needed to stop and rest more frequently. It was irritating that far younger and older climbers seemed to fly effortless past me, up the mountain. My irritation felt shameful when some of these same climbers offered me words of encouragement. When I stopped, I would look down to see how far I’d come. Each time it seemed amazing how much progress I’d made and the last time I stopped and what had seemed incredibly high a few minutes before, no longer seemed high at all. Several times, it looked like I was about to crest the summit. I’d push a little harder only to find the trail continued up, but I couldn't see the next rise from below. Finally, I crested the top and gasped at the view. Well, I gasped in general. It was a remarkable view of the Valley of the Sun. A sign at the bottom of the trail warned of bees. Okay, I thought, there are a few bees around. Why the sign? At the top, we found out. A swarm swept across the peak of Camelback and I discovered I had a lot more energy than I thought as I rushed down the mountain to get out of their way. Going down the mountain proved more difficult for me than climbing up. I had to be careful not to slip. The handrails were even more helpful on the climb down. So why is this like building a business? · Like climbing a mountain, building a business seems a lot easier before you start. 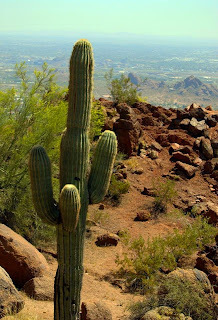 · Like the sign on Camelback warning you of the dangers of proceeding, there are always naysayers who will tell you why you will fail and why you should give up. The only sure way to fail is by listening to them. · The path up a mountain or in business is not always clear. There is often more than one way up. · Like watching other climbers for clues about a faster way to the top, it helps in business if you can learn the easier path from other business owners and avoid mistakes they made in the past. Matt Michel at the top. · If other climbers scaled Camelback faster than I did, it didn't hurt me. It also doesn't hurt you when other businesses around you, grow faster. I climbed at a pace I could manage. Likewise, you grow a business at a pace you can manage. · Like climbers seem to feel a camaraderie, business owners relate to each other. They encourage each other. They know what you are going through. · Like Camelback, the opportunities for your business may seem barren, but if you look, you will notice rich opportunities others cannot see. Even for you to see them, you need to pause from your struggle for a minute or two and take a look around. It’s amazing what abundance surround every industry and business. · The view from the top is always better and more satisfying, and at each stage of your business’ growth, your earlier milestones seem almost trivial. · It’s also a lot more fun climbing up a mountain than going down. Similarly, running a growing business is more fun than a shrinking one. · If you’re climbing Camelback, you need to watch out for the bees. If you’re running a contracting company, watch out for the stings.